Line a rimmed baking sheet with parchment paper. Wash, hull, and halve 1 dry pint of strawberries and pile in the middle of the sheet. Sprinkle with 1 tsp cane sugar, a pinch of sea salt, and toss gently to coat. Spread in an even layer and bake on the middle rack for 25 minutes. Turn off the heat and let cool in the oven, about 25 minutes. This can be done in advance, and the cooled berries can be stored in the refrigerator for a few days. For the salt rim, pour salt onto a small plate. 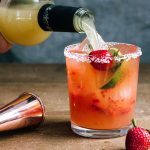 Run the flesh side of the lime along the rim of a double rocks glass then carefully roll the rim through the salt to coat. In a shaker, muddle the strawberry with a pinch of kosher salt. Add the tequila, mezcal, and P&M Jalapeño Margarita and shake with a few pieces of ice. Dump into the rimmed double rocks glass and top with more ice. 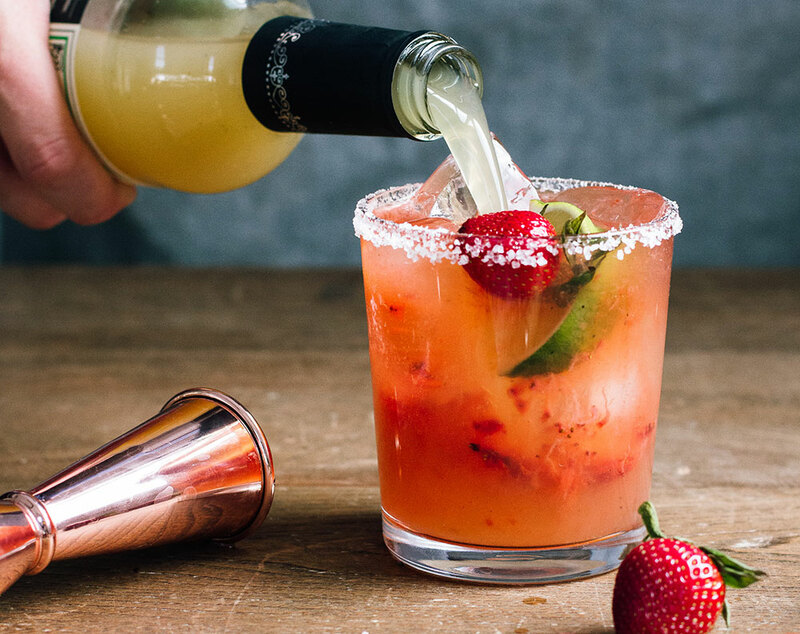 Garnish with the lime wedge and strawberry.